It’s a familiar, if tragic, pattern: A medical breakthrough is discovered at public expense, only to be licensed to a private corporation that earns billions of dollars by making it unaffordable for ordinary people. The latest such giveaway involves a vaccine for the Zika virus, which can cause microcephaly, blindness, deafness, and calcification of the brain in children whose mothers were infected during pregnancy. Though the new vaccine is still being tested, it shows great promise. It was developed at the Walter Reed Army Institute for Research, and the Department of the Army funded its development. Now the Army is planning to grant exclusive rights to this potentially groundbreaking medicine–along with as much as $173 million in funding from the Department of Health and Human Services—to the French pharmaceutical corporation Sanofi Pasteur. Sanofi manufactures a number of vaccines, but it’s also faced repeated allegations of overcharges and fraud. Should the vaccine prove effective, Sanofi would be free to charge whatever it wants for it in the United States. Ultimately, the vaccine could end up being unaffordable for those most vulnerable to Zika, and for cash-strapped states. Vermont Senator Bernie Sanders wrote the Army about the Zika vaccine in March, noting that “American consumers could pay twice: Once for the development of this vaccine through their tax dollars and then to the company, which would be allowed to charge any price that it wants for this drug if and when it is approved for marketing.” In an op-ed for The New York Times, Sanders asked President Trump to cancel the “bad deal,” noting that Sanofi’s CEO makes $4.5 million per year. Sanders correctly noted that Americans have given away drug patents before, only to wind up paying exorbitant prices for them. So far the Army has waved away these concerns. KEI, Sanders, and others asked that, if the Army does grant an exclusive license to Sanofi, it include requirements that the vaccine be made available at an affordable price. In April, the Army rejected that request, arguing that it lacked the ability to enforce price controls. Instead, the Army requested that Sanofi voluntarily agree to set an affordable price for the vaccine. Sanofi refused. Zika’s victims are the most helpless among us—newborn infants, especially those born into poverty. The virus is carried by mosquitoes and is most prevalent in southern latitudes. Within US borders, most Zika cases have occurred in Puerto Rico, followed by Louisiana and South Florida, typically among lower-income populations that live near swamps or other mosquito habitats. 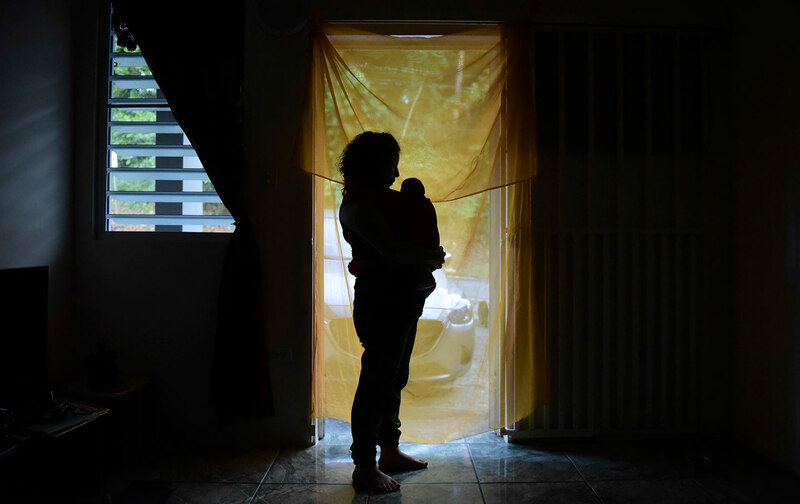 As was widely reported last year, the virus has been linked to a number of childhood birth defects, with between 5 and 10 percent of births to Zika-infected mothers showing abnormalities. Zika is not dominating the headlines today the way it did last year—at least, not yet. Scientists are concerned that the virus could make a big comeback in the summer. Dr. Christine Curry, an obstetrician and assistant professor at the University of Miami, works with at-risk populations in South Florida that include Zika-infected expectant mothers. In an interview, Dr. Curry said that “we continue to see [Zika] transmission” in high-risk neighborhoods. While Curry’s team did not see locally transmitted cases until July of last year, there were already four confirmed cases of local transmission in South Florida by the final week of May this year. A total of 38 pregnant women in South Florida have already tested positive for Zika, although it’s not known where they had contracted the illness. Sanofi charges Medicare more than $5,000 for a multiple-sclerosis drug that costs $745 in France. Without a vaccine, Curry said, it’s difficult to limit the spread of the disease: prevention depends on mosquito avoidance, which generally amounts to staying indoors—not a practical solution for people without air conditioning or who work outdoors. Because Zika can be sexually transmitted, prevention also requires what Curry called “male compliance,” or condom use. HHS has already granted the company $43 million for phase II clinical trials of the vaccine. (The government paid directly for Phase I trials, which are underway.) HHS plans to give the French corporation another $130 million to take the drug through its remaining trials and into development. The deal’s defenders argue that Sanofi, as one of the world’s leading vaccine manufacturers, is well-equipped to develop the Zika vaccine. But Sanofi’s record also includes a number of controversies related to its pricing practices, from a $190 million fine to settle charges that it defrauded Medicare and other government programs, to a $109 million fine to settle charges that it illegally provided product kickbacks to doctors. In 2014, a whistle-blower alleged the company engaged in another kickback scheme and the destruction of legal evidence. KEI maintains a comprehensive list of Sanofi’s fraud fines, including the latest: a $19.9 million settlement, reached this April, for overcharging the Department of Veterans’Affairs. Like other drug manufacturers, Sanofi has a record of charging Americans significantly more for a drug than it charges in other countries. Sanofi charges Medicare more than $5,000 for its multiple-sclerosis drug Aubagio, while only charging $745 for the same medication in France. The underlying problem is much bigger than Sanofi; It’s in the way the US government treats knowledge that has been developed at public expense. Too often, publicly funded discoveries lead to excessive private profit, while public access to new information and technologies is limited. Baker has written that the drug patent system in the United States carries enormous direct and indirect costs. With Americans facing a drug-cost crisis, a radical revamping of drug patents could provide lifesaving relief for millions.